2.7 mile dirt track. There is 2 versions, Summer and Winter. Both have lights for night racing. 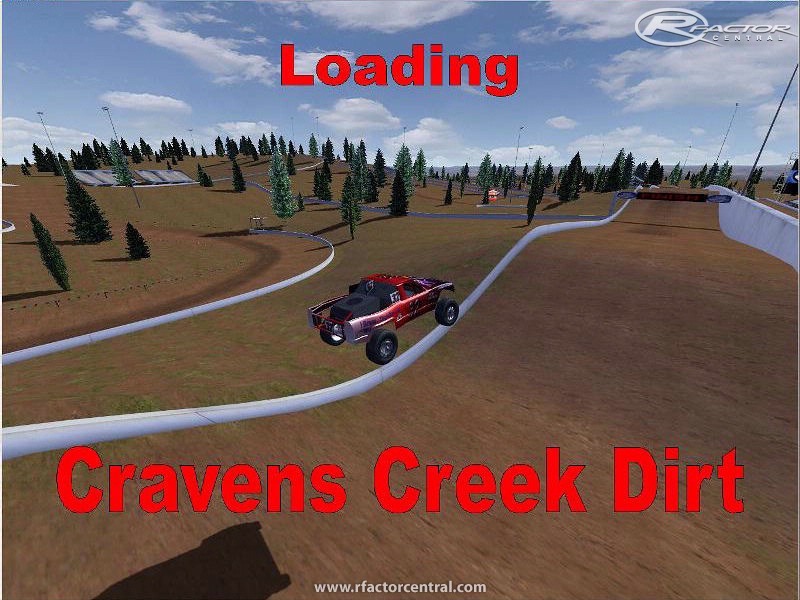 There are currently no setups for Cravens Creek. Add a Setup. It's differnt then the last time you raced on it. Try the Winter Night Racing. Set the race time to 12:00 am , it's cool. GreatJob Jon"Craven"Sheldon glad to see ya still at it Bro......Been runnin DirtOvals with HAR_LM's since the last time i seen ya.Hopefully i'll run into ya in a server with ur Track.......again the Track looks Great!!! !